← Is this the ultimate flower garden? Keukenhof. … for a cut or stencilled motif. 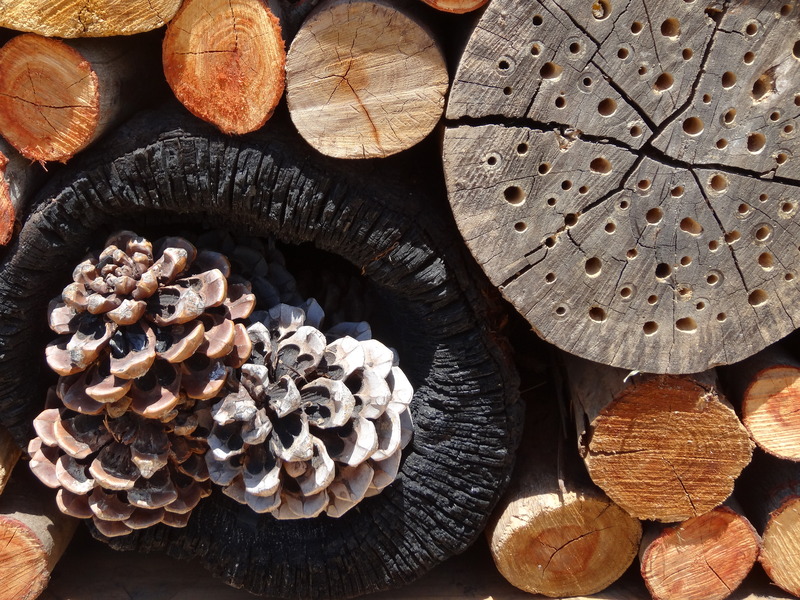 Old wood, bark, acorns , logs. Remember these should be free of any harmful preservatives or chemicals. Smooth ends and surfaces will protect delicate bodies. Since the structure will be largely old wood, preferably a framework of pallets,with bamboo and bark, it will deteriorate in time. So providing a a roof and a firm stone base will increase its longevity. A base of stone, rubble or dry stone walls and old tiles,will provide the cool conditions required by frogs and newts. Siting it near a pond in semi-shade would also be beneficial for them. You may simply want to encourage insects, siting it near to wild flowers, flowering herbs and shrubs. Many species of bees live alone and not in hives. They like dry conditions in which to nest – from egg, to larva to adulthood, so choose a warm sunny spot. 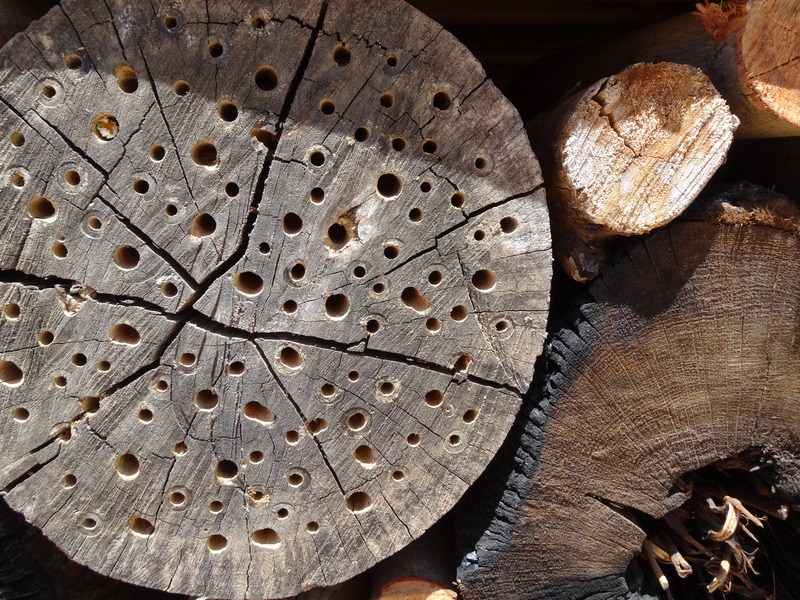 Drill holes in logs at various diameters from 2 to 8mm, at a slight angle so that they do not become wet. Bamboo canes or hollow stems stacked into clay pipes or old tin cans will work too. 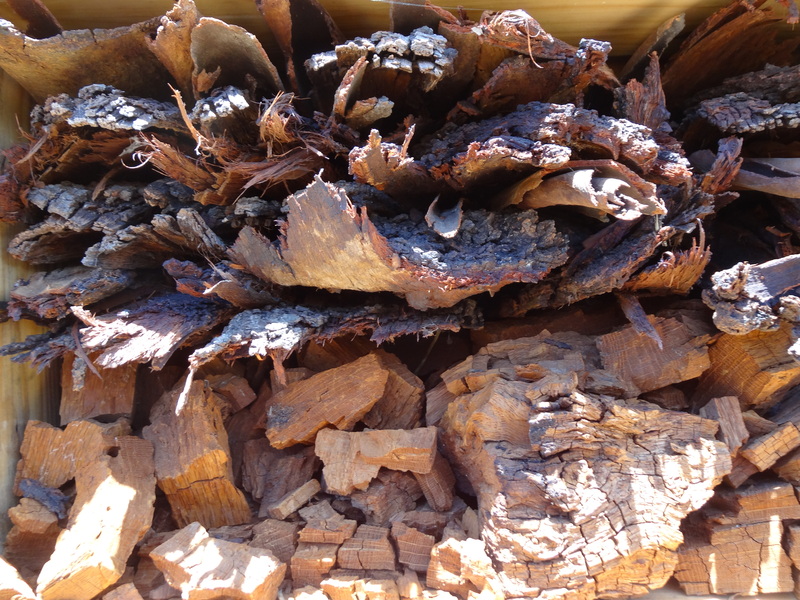 Stag beetles have experienced great loss of habitat – they need old decaying wood, (the larvae feed on rotting deciduous wood for several years); and wood lice, spiders and others can creep in between small piles of bark. 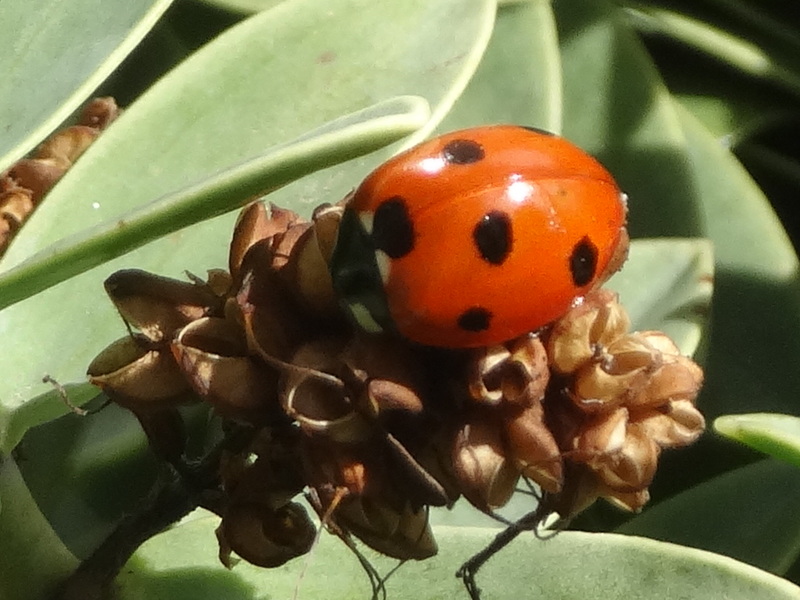 Ladybirds prefer to hibernate in groups so twigs and straw piled into a box on its side will be good for them. Using recycled materials to create habitats. The best way to provide for bees and other pollinators is to provide them with flowering plants from February to November. 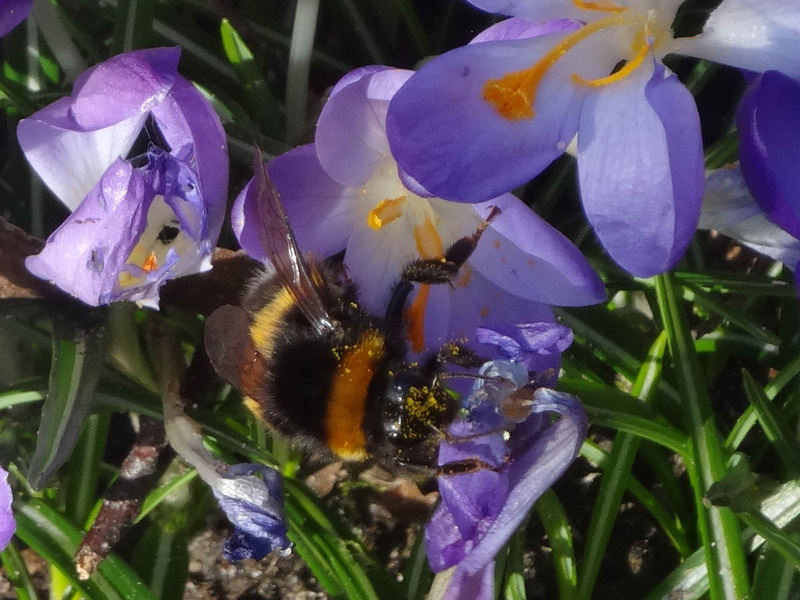 So surround your hotel with nectar rich plants and wait for that sweet buzz of summer. Thank you Nigel. More habitats for insects we hope! 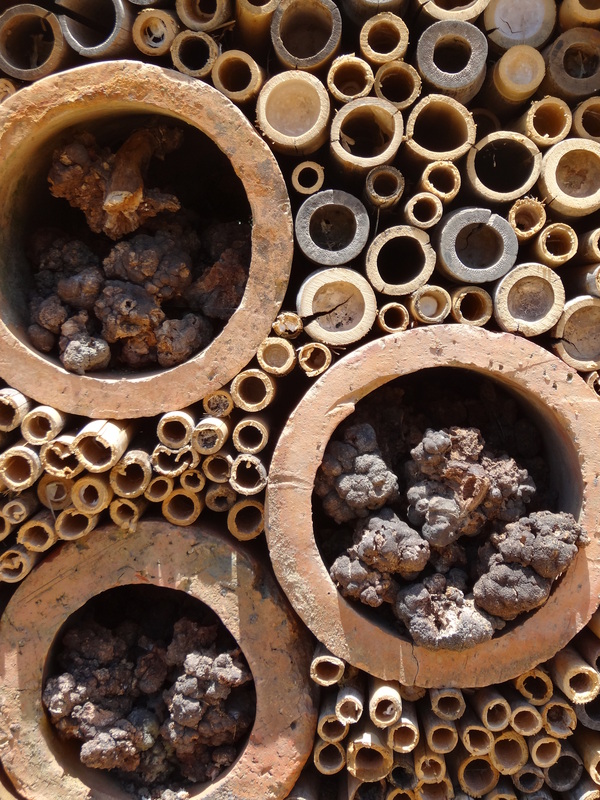 I am so excited by the photo of the insect hotel and can’t wait to build one! It will be the first thing I plan tomorrow, looking at finding materials and where to locate it. Thank you so much! Karen, thanks. Good luck with that, glad it inspired you. Thank you .. strange perhaps, but fun and hopefully beneficial. Hi – this is great – we are going to build one on the allotments where we have just created an apiary with three honey beehives in. Sounds good! Every little helps when it comes to bees! 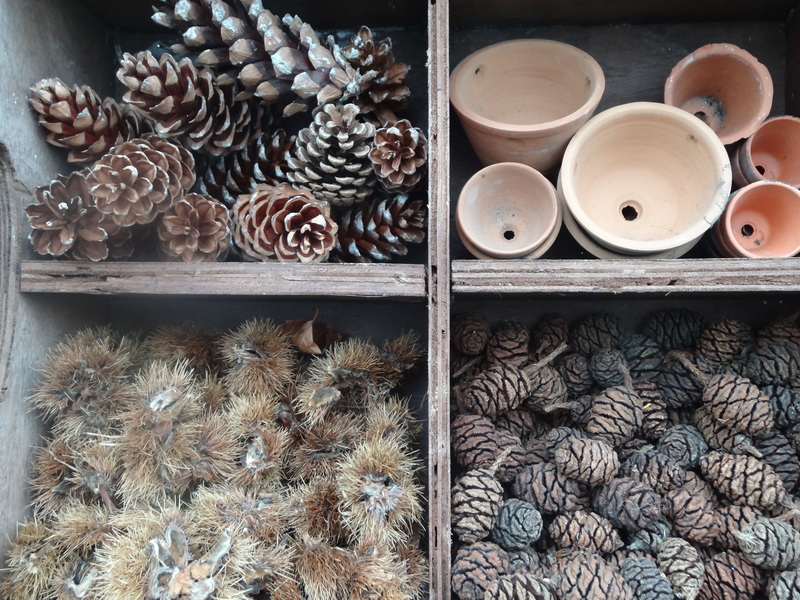 Hi – will try to remember to post a photo on our own website once it has done – thank you Jardin Design. We will credit you. This is a fun project to do with children over the holidays and, of course, beneficial to pollinators.